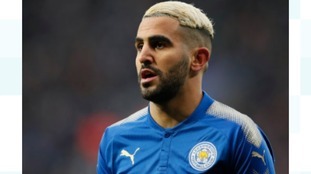 Leicester City's Riyad Mahrez has left the club to join Manchester City. 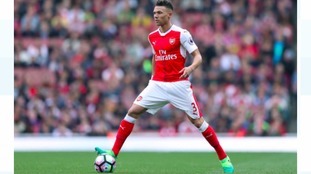 West Bromwich Albion have completed the signing of Arsenal defender Kieran Gibbs on a four-year-deal. Stoke to hand Jese his debut with Sanchez missing for the Gunners. West Bromwich Albion have completed the signing of Everton midfielder Gareth Barry on an initial one year deal. Leicester City fans were certainly having a party with two goals from Jamie Vardy but it wasn't enough against Arsenal. West Bromwich Albion Head Coach Tony Pulis has signed a contract extension, keeping him at the Hawthorns until 2019. 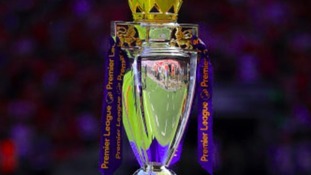 The famous Premier League Trophy will be at one of Leicestershire's most famous tourist attractions today - the Bosworth Battlefield Heritage Centre. Visitors can see the famous trophy between 1.30pm and 3.30pm in the centre's Heritage Room. We're delighted to be able to offer our visitors the opportunity to see the FA Premier League trophy and share in Leicester City's success last season. Both the Richard III story which we tell at Bosworth and the success of the football team attracted significant worldwide attention. Leicester City won the trophy in spectacular fashion last year - but sit just one point above the relegation zone this season. Stoke City manager Mark Hughes says that Saido Berahino will play against his former club West Bromwich Albion tomorrow. The striker signed from the Baggies for £12 million having played only five times for the club this season. Berahino scored 36 goals in 121 appearances for the West Brom. Ronald Koeman got his first Premier League victory as Everton manager as West Brom lost 2-1 at The Hawthorns.